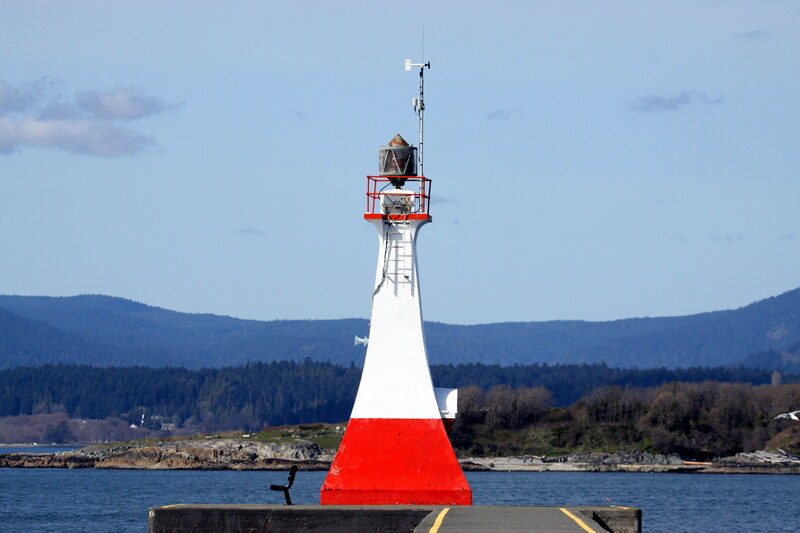 Located at the end of the breakwater on the east side of the entrance to Victoria harbor. Accessible by walking the breakwater. Located in Victoria, British Columbia, Canada. Construction details (year of built, shape etc): 1917. Square tapered concrete tower, painted white with a broad red band at the base.